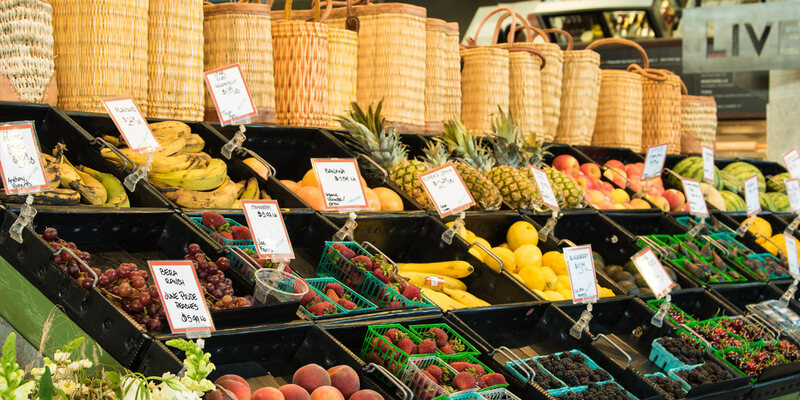 Hudson Greens & Goods specializes in locally sourced, organic fruits and vegetables, with an expanded selection of dry goods and household items for Oxbow Public Market customers. Oxbow Greens & Goods will now offer Hudson Vineyards wines for retail, and will continue to offer an increased selection of cut flowers from the Monkey Flower Group. The expanded juice bar will offer additional menu items, including toasted breads with a variety of house-made spreads, bone broths, prepackaged salads, and other seasonal, farm-based, and convenient grab-n-go offerings. Hudson Greens and Goods will also feature weekly tastings, featuring local farmers and purveyors.